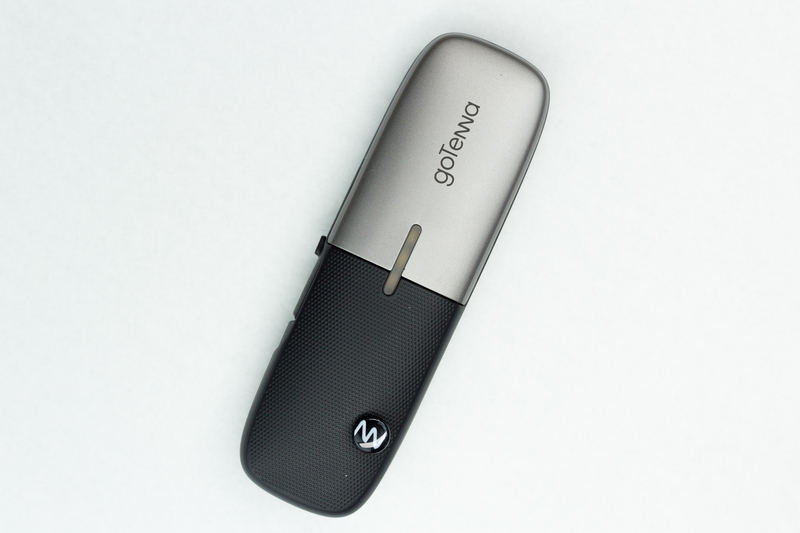 As with the original goTenna hardware released in 2015, the overall industrial design is great. The exterior pays respects to the original version, sporting a mix of dimpled ABS and brushed aluminium. The new goTenna Mesh is wider, shorter, and more curved than the original. It gives the appearance that it has been inflated internally, like a balloon. It's a little smaller and larger in the places it needs to be, making it much more comfortable to hold in the hand. Externally, several things changed, while others stayed the same. This could be due to more mature design for manufacturability, or cost cutting due to an increase in the bill of materials; but likely both. The attachment strap has changed from a knit fabric on the original to rubber on the goTenna Mesh, losing the expensive snaps and small screws in the process. 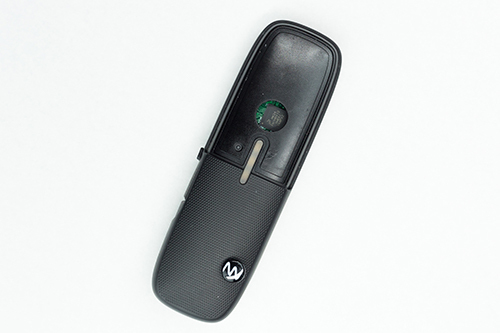 The exterior case is of a simpler design, saving tooling expense. There's also no longer an extendable antenna, which requied its own subassembly and hands-on time to install and solder to the main board. The removal of the extendable antenna should make the goTenna Mesh more durable. In order to see how things changed on the inside, I needed to open it up. I started by removing the top and bottom brushed aluminum veneers to see whether there were any screws or other fasteners holding it together. These veneers are held down by adhesive tape and lift off with a bit of careful prying. They're noticably thicker than those on the original: 0.7mm compared to 0.3mm. The increase in thickness allows them to be removed without warping or bending. After removing the veneers I discovered that, like the original goTenna, there's a strategically placed hole in the case over the main processor. This hole is nearly identical in size and placement to the hole on the original goTenna. On the original, a small metal disc was covered in thermal grease and placed in this hole, forming a thermal connection between the processor and top veneer. However, there's no such disc included on the goTenna Mesh. The surface of the aluminium veneers on the goTenna Mesh are convex, which would significantly complicate a thermal connection. This could be one reason why this metal disc was ommited.